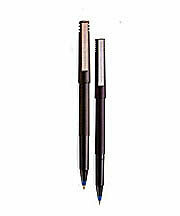 Sanford Uni-Ball Pens The whisper smooth ball writer with metal point. 2 sizes. Available in 4 rich ink colors: Black, Red, Blue and Green. UB101 0.3mm Fine UB120 0.2mm Extra Fine !!! LIQUIDATION SALE WHILE SUPPLIES LAST !! !